Last night was crazy. We drove for a long time, got pulled over by a cop for almost hitting him (no ticket! ), who eventually gave us restaurant recommendations (what police officer gives food recommendations? ), didn’t stay in the house we planned on, so we drove for a while and eventually settled down in a hotel (where I’m posting this from). We found a few Geocaches on the way here (One Multi-cache and one micro in a cemetery), but I still need to find one in Colorado. On the road we visited Arches National Park for the first time in 10 years, drove around for a while, took a lot of pictures and ran around off the trails (after watching a video saying not too, cause you can step on plant life). 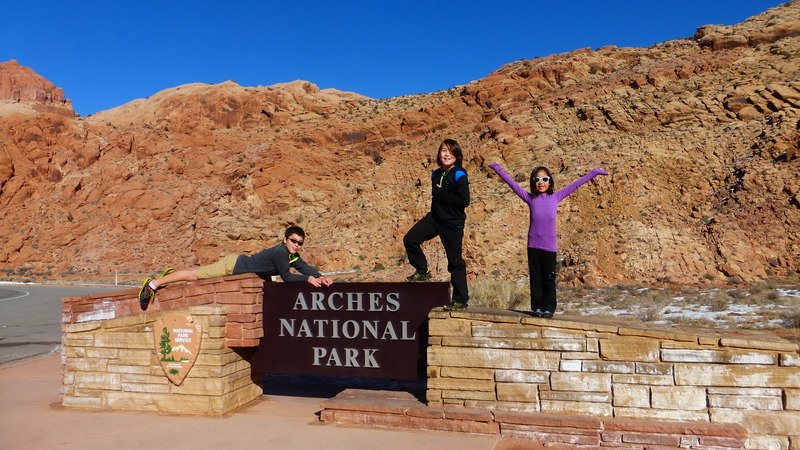 We learned that all arches have a life span, and all arches eventually collapse because of erosion, and rain. 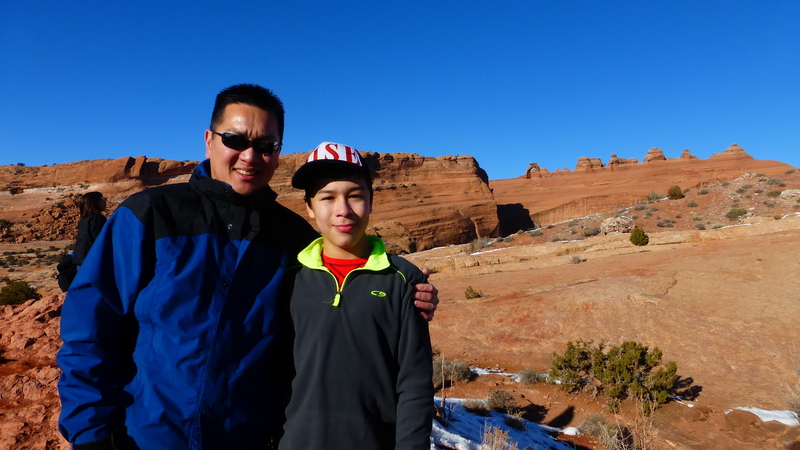 We saw Balancing Rock and Delicate Arch. I got the National Park coin from there. We got our passport things stamped and Jadyn got her Junior Ranger Badge (she finished it at about 3:50 and it closed at 4, but we were far away from the visitors center, but we made it even at 4:02). You can see all the national park coins here: www.collectabletokens.com. I can’t wait to go snowboarding here in Colorado! LOL, who was driving Gabe? I am glad you are having fun. Thanks for the updates. Miss you.